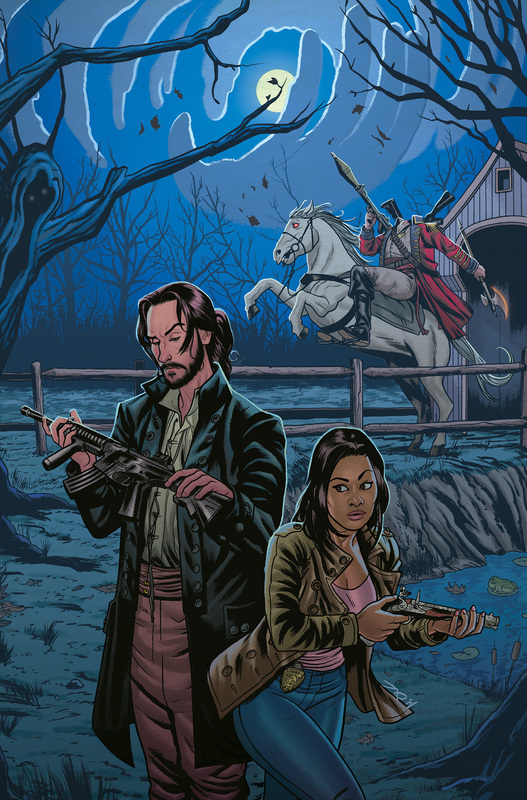 Sleepy Hollow: Origins is coming in April from BOOM! The Sleepy Hollow: Origins one-shot goes on sale in comic shops on April 8th with a cover by Joe Quinones (Howard the Duck) for the price of $4.99 under Diamond order code FEB151134. The Final Order Cutoff deadline for retailers is March 16th. If your readers need a resource to help them find where their nearest comic book shop is, they can use comicshoplocator.com or findacomicshop.com. The one-shot is also available for order directly from our webstore at boom-studios.com.